Looking forward to try out the first release. Voted, now will you tell me where I can find the William Wallace kit, complete with bagpipes? ^ Isn't that in PR: Normandy? brilliant? I've been called many things but that. Thanks Joe. And its not soo much a matter of dipping my hands into anything i can. I came across TW on the front page of moddb and loved the idea of a WWII game in the beautiful Cry Engine 3. So me being the WWII game fan i am, i applied and i luckily got a trail. and learning the ins and out of CE3 animation system was not as hard as i thought. TW looks awesome, if those graphics will be backed up with some proper gameplay, then it may just be the best thing ever. You mind if i ask what are the the plans regarding gameplay? FH2-like or maybe more relistic/arcadish? I hear Resistance & Liberation is also moving to CE3. 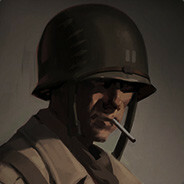 Looks like the future of WW2 games now lies in the indie sector. I'm sold then! Best thing ever. One more reason to choose CE3 over UDK is that UDK has a hard limit of 64 players, while in CE3 that was removed (there probably is some theoretical limit but the server will die well before that). I wonder if we have (or ever will) reached a point where there isn't such a thing as engine limitations anymore.